I'm hungry. Yeah, I guess really no surprise there. Even if I'm not actually hungry, I find myself craving something. Sometimes it's chocolate chip cookie dough. Sometimes it's pumpkin soup. A lot of the time it's roast chicken. Strange, I know. Oftentimes, my cravings are incited by my near constant blog-trolling. My roommates can attest to the fact that I am frequently flipping from blog to blog in search of the next delicious and inspiring thing. Luckily, my favorite websites never fall short. There is always something that sets my stomach grumbling away. And what my stomach wants, my stomach most definitely gets. 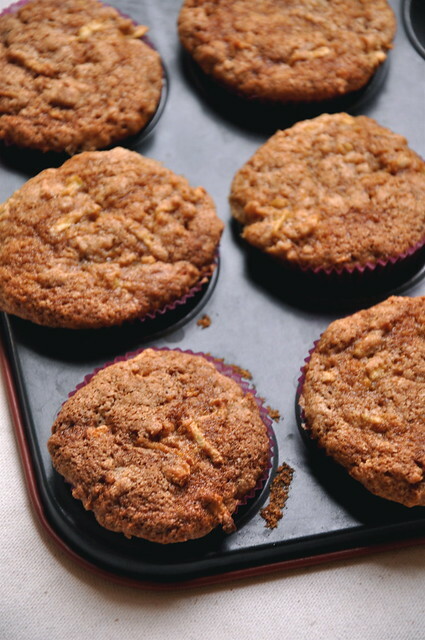 A few days ago, a recipe for spiced apple cupcakes caught my eye while I scrolled through Raspberri Cupcakes. I set my computer aside, rolled out of bed, and padded down the stairs to inspect my cupboards. For once, I had everything I needed. Except the maple syrup. As I weighed my options, deciding whether it was worth the long trek to Tesco (it is literally right across the street), I remembered that I had a huge vat of butterscotch sauce I had made only the day before hanging out in my fridge. Jackpot! Because homemade butterscotch sauce makes everything better. I won't even tell if you drizzle a little in your morning Greek yogurt. Preheat oven to 350 degrees. 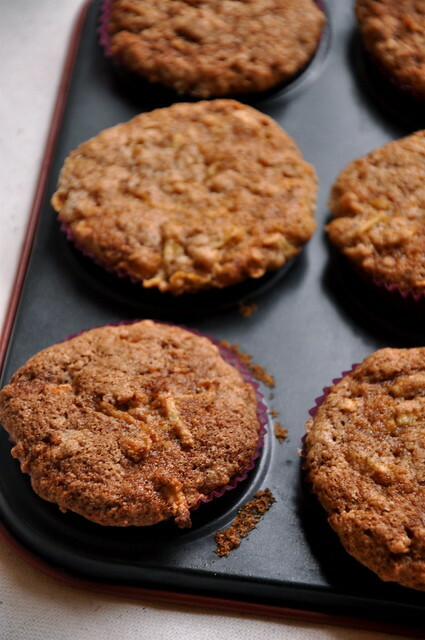 Line a 12-cup muffin tin with papers. In a medium bowl, whisk together flour, salt, baking soda, cinnamon, allspice, and cloves. Cream butter and sugars together in an electric mixer until light and fluffy. Add vanilla extract and egg and beat to combine. Beat in grated apple. Beat in dry ingredients slowly until just combined. 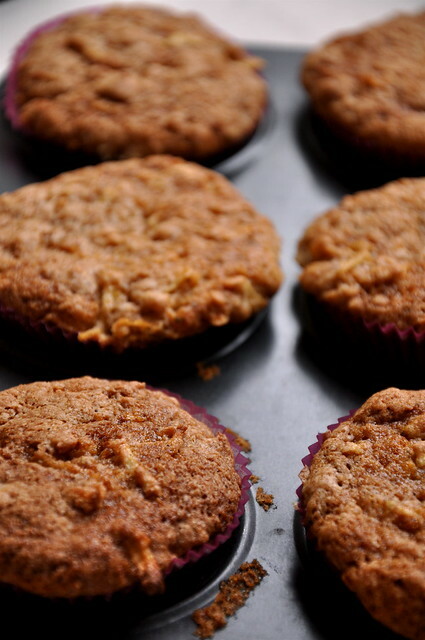 Divide batter between muffin cups. Bake for 20 minutes, until cupcakes are golden brown and a cake tester inserted in the center comes out clean. Remove from oven and let cool. 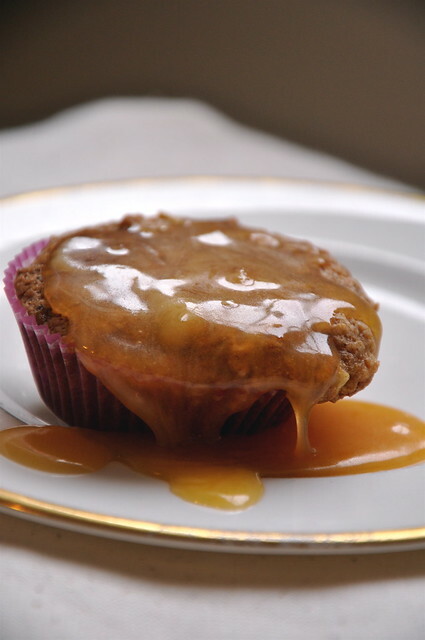 Dip each cupcake in finished butterscotch sauce. In a saucepan with tall sides, mix 2 cups sugar and 1/2 cup water until it has the consistency of wet sand. Turn heat on high and cook until deep amber in color and slightly smoking. Carefully pour in remaining 1 cup water. It will splatter. 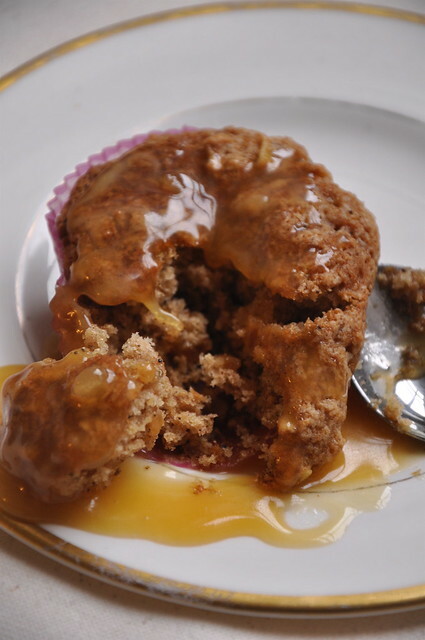 Whisk constantly over medium heat until caramel reduces slightly and become sticky. Remove from heat and let cool. Meanwhile, cream butter and remaining 1 1/4 cups sugar in an electric mixer. Beat in salt. Slowly pour cooled caramel into mixer and beat until combined.